Keeping Beau busy can get tricky, but we’ve got it pretty much under control now. We play with Beau about 30-minutes every day, have 5 feeder toys around the house to keep him occupied (we split his 1/3 meal between them all) and we make sure to give him plenty of love and attention! 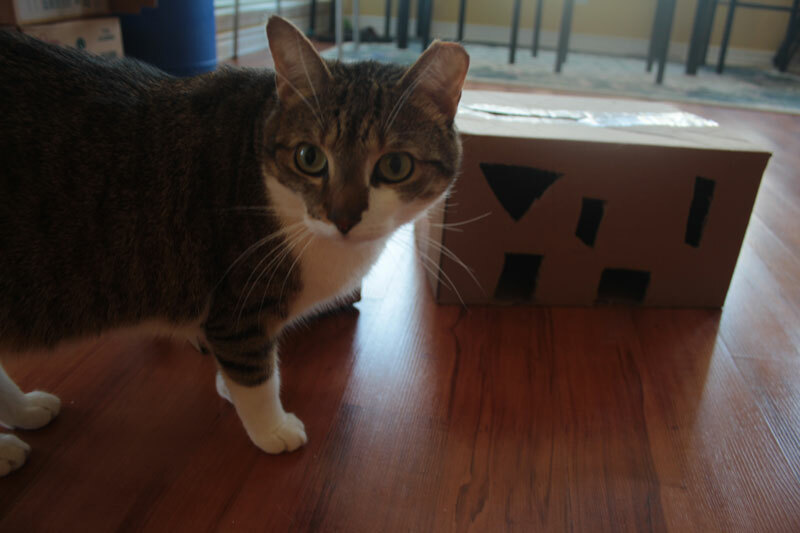 Today I’m going to show you how I make the cardboard box feeder toys that he loves so much! Cats are smart and tend to figure out how to open their toys. Given our trial and error, we found boxes that open from the side last longer with Beau, because he found ways of putting pressure on the top allowing him easy access to the food. He’s discovered this trick with a couple of his other feeder toys, which is why we actually have to put text books on top of them, to make sure he’s actually solving the puzzles instead. Here’s your chance to get creative! 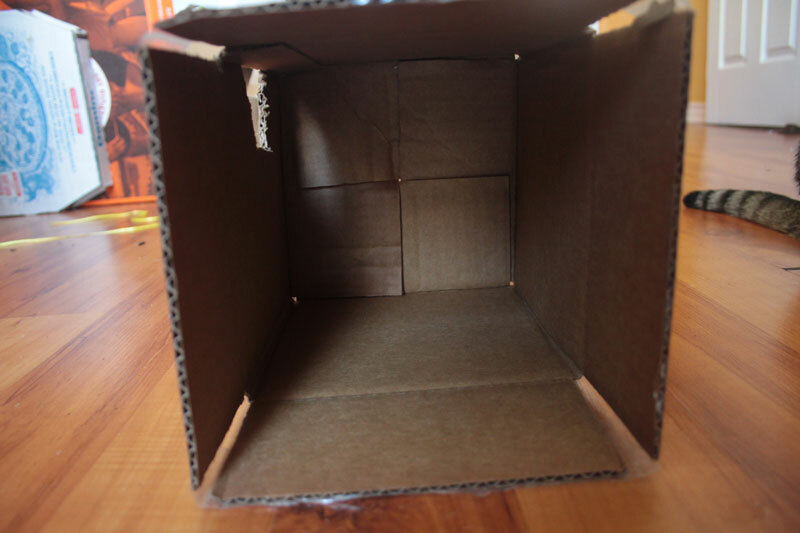 Make a bunch of shapes inside of the cardboard. Don’t make them too big though! The ideal size is little bigger than your little one’s paws. The hope is that some kibble (or treats) get stuck behind the cardboard and your kitty has to paw around trying to find them! 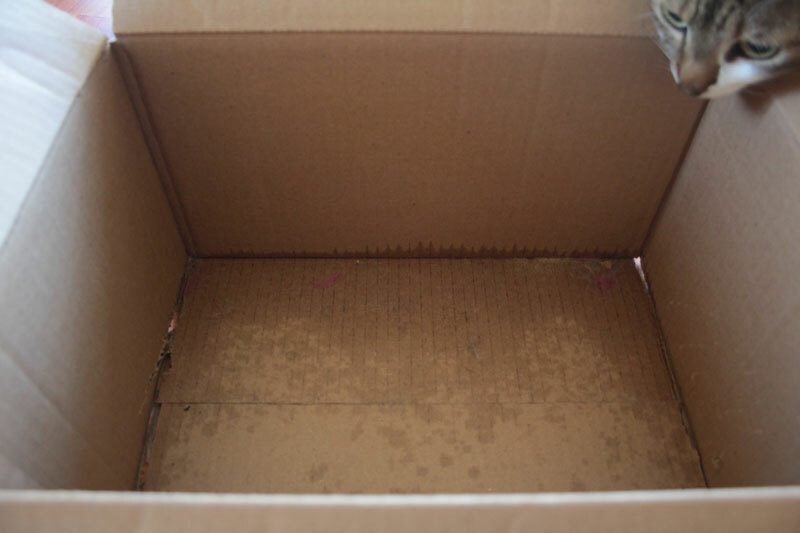 Make sure you have a few holes that are higher up to let your cat see into the box. Beau will take always look before he paws into a box. (Sometimes boxes scare him for some reason. )When cutting holes make sure that you cut right down to the bottom. If there is a little lip it can cause tremendous difficulty for your little one to get access to the food/treats. At first we thought it might be a good idea, but it really proved wrong when Beau didn’t want anything to do with the toys. 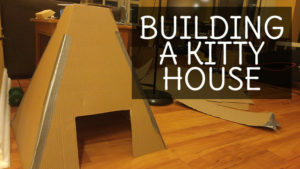 Not does this create new challenges for your kitty, cardboard also soaks up a lot of the oil that’s inside of kibble and treats. It’s pretty gross to think about, but that’s just how the world works, am I right? 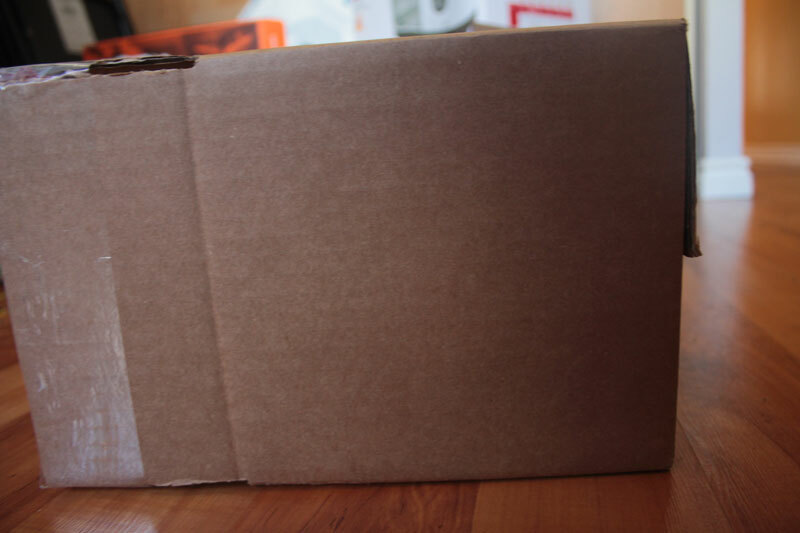 Your box may also collect debris or hair (like any other product in your house) and since most cardboard boxes are free (since you get them everywhere) there shouldn’t be an issue with changing your boxes around every so often! Keep your pet busy, healthy and safe! So! What do you think? I know a lot of our readers are wet feeders, but sometimes our little ones won’t eat wet or need something to keep them busy throughout the day. I have a couple new toys I want to make and I want to know if you would find that interesting! Lemme know in the comments below! Hi Beau! 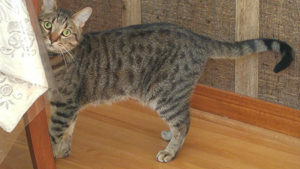 Zoey from The Island Cats sent us over! 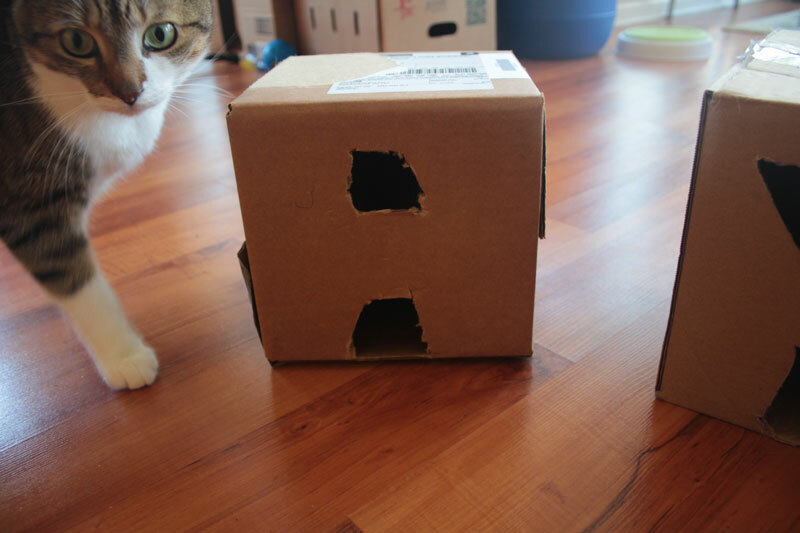 We love what you did to that box! Our mom said she’s going to make one for us too. My Dad puts together something like that and then Brother Simon at the box, literally, the little guy loves cardboard. Of course we would love to see whatever you make! Cardboard is so handy! And we have so much of it in the house! That is a great idea. I sure think we will try that. Thanks for that idea. Have a good week end. No worries at all! <3 Glad you're gonna try it yourselves! That looked like a lot of fun for Beau! I had some treat toys for the kitties, but dog-guy decided he wanted them…what a party pooper he can be..maybe now, he has become furry picky about his noms maybe he would leave the kitty treat ball alone…will have to try it and find out. You gonna try it out? That’s an easy DIY feeder toy. We also have used empty plastic water bottles. Using an exacto knife, cut small holes in the bottle, fill with treats, and there you go! We haven’t tried that one before (We’re a plastic bottle free house, so it’s rare that you’ll find one here!) But we’re gonna try that out with a toilet paper/paper towel tube! Make a birdfeeder out of a box-interesting. 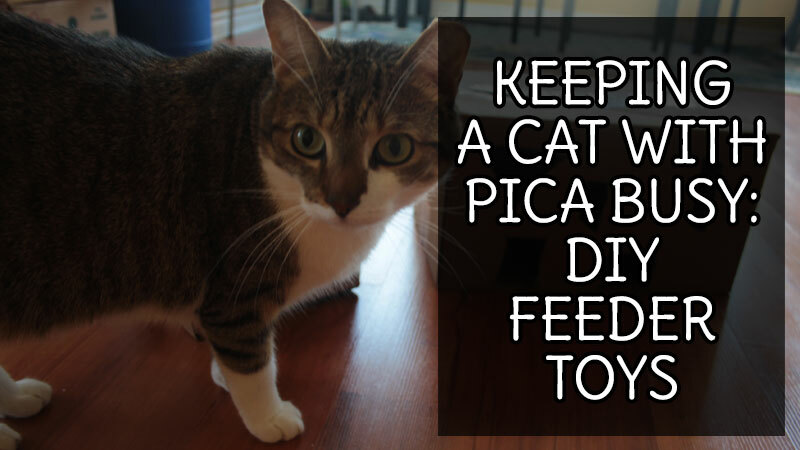 How many times do you feed your cats? We leave feed our cat when she needs it. However, we give her wet food only once a day. We feed our little one 3-times a day, leaving him food in multiple feeders. One meal is a table spoon of pumpkin, then the second is 1/6 of kibble and the third is also 1/6 of kibble. You know how to work it to get the treats, don’t you, Beau? I’d never do that. As it is TW says I won’t even walk over to my food. She has to bring it to me. Autumn used to eat the rug. Pop called her a goat. MOL! This is a fantastic idea! I try to play with Bear every day – because when he gets bored, things start getting messy around here. I tried several homemade puzzle feeders and Bear quickly loses interest. If you’re interested in any of them … this is the post: http://mommakatandherbearcat.blogspot.com/2016/04/claws-and-fangs-at-play-homemade-edition.html. Because Bear didn’t like the food option, I used toy micey instead – but you can easily use food too. Will have to check some of these out! I’m currently coming up with some new ideas to vary his play toys. Plus, we’ve got so many boxes in the house now! What a fun and great idea! Anything that stimulates minds and rewards with a treat is awesome in our book! Thanks for sharing this! 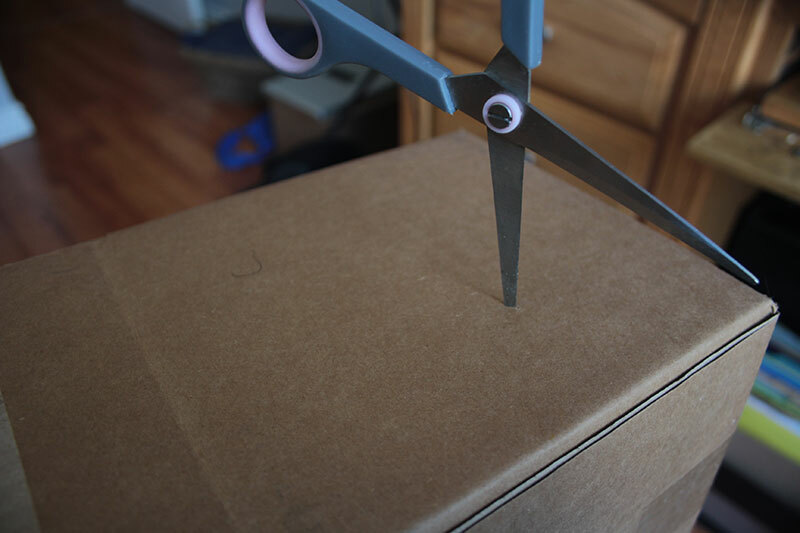 Very nice way to make a smashing box!!! 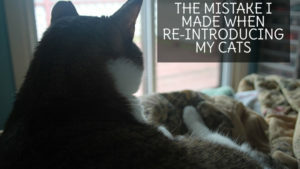 Am visiting because the Island Cats sent me…. May I suggest (my mama if a graphics type person) that you make your typeface darker? It is very difficult to read your blog and I WANT to whenever I can. Hello from Loulou at livingwithloulou. I will try my best to code that! 🙂 Thanks for the input and welcome, welcome, welcome!